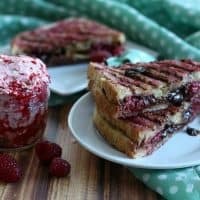 This Raspberry Chocolate Brie Dessert Sandwich is full of so much grown-up indulgence, with one little secret that will keep you on the healthy-bandwagon! this post has been sponsored by MELT® Organic, but as always opinions are my own. We are now officially into February. Can you believe that we’re already one month into this year?! In the food blog world, I feel like we’ve been focusing on appetizers for New Year’s and the game day forever, and now I’m ready to switch gears. Valentine’s Day. I know, I know. You either love it or you hate it, and the more people I ask, the more people I realize hate it. But well, I love it, and I’m going to give you some amazingly delicious reasons to love it too! I don’t know about you, but one of the best parts about having a love for food is being able to create amazing dishes and share them with others. When it comes to Valentine’s Day and figuring out what sort of gifts I want to give, I have to admit that I’m usually drawn to the idea of giving gifts in the form of food. Dinner for two at home. Over-the-top desserts. Fancy cocktails. Food gifts are what I do best! 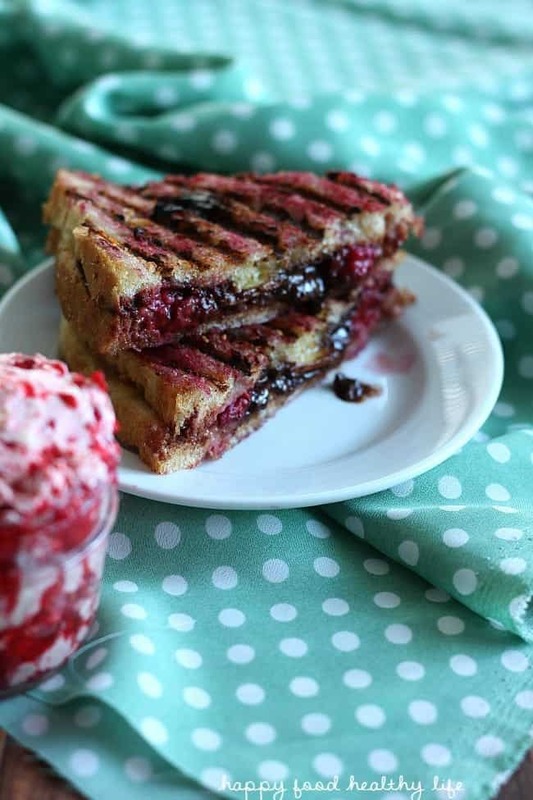 And this Valentine’s Day, I intend to spoil my honey with something completely over the top like this amazing dessert sandwich. If you’ve never tried Brie cheese with fruit or chocolate, you absolutely have to. It’s gourmet-tasting. It’s totally perfect for a grown-up date night in. And let me tell you a little secret. I actually found a way to lighten this dessert up a bit! That’s right. I used MELT® Organic spread in place of my butter. Hopefully you’re still on the healthy bandwagon, and I want to make sure you stay there, and it’s little shortcuts like this one that’s going to help make that happen. MELT Organic is truly a butter improvement that is actually good for you, full of healthy fats and Omega 3’s. The best part is that you can use MELT Organic in any way that you’d use regular butter. It melts the same. It sizzles the same. And it tastes the same! Use it to bake, to spread on your toast, or to make this amazing dessert that I’ve created for you! You and your honey will absolutely thank you. AND your heart will thank you and your healthy choices this Valentine’s Day! 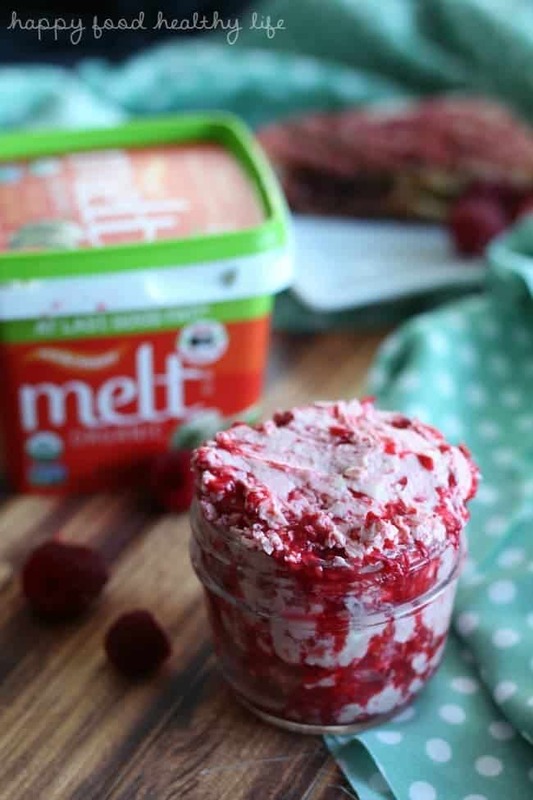 To make raspberry butter, mix the raspberry and MELT® Organic or butter together until just mixed. You don't want to completely puree the raspberries so that it turns the entire butter pink. Just enough so that they're broken up and distributed evenly. 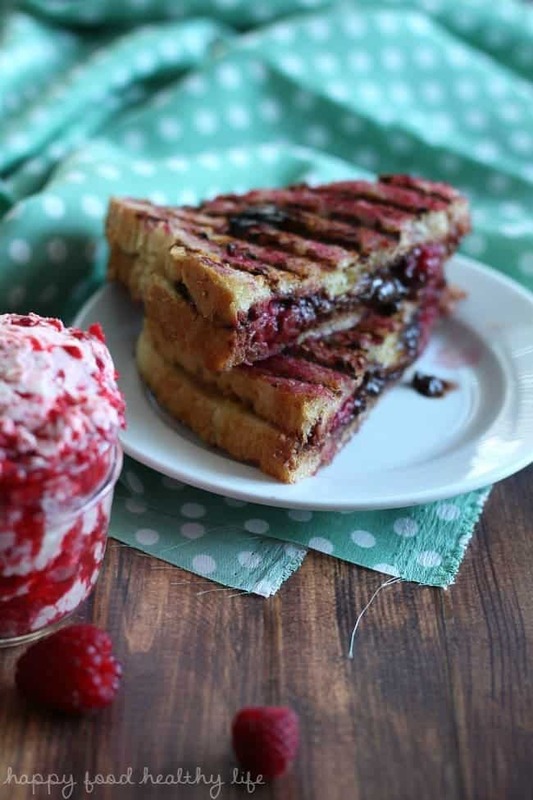 Spread raspberry butter on the outsides of each slice of bread. On the inside, spread brie cheese on one slice of bread. 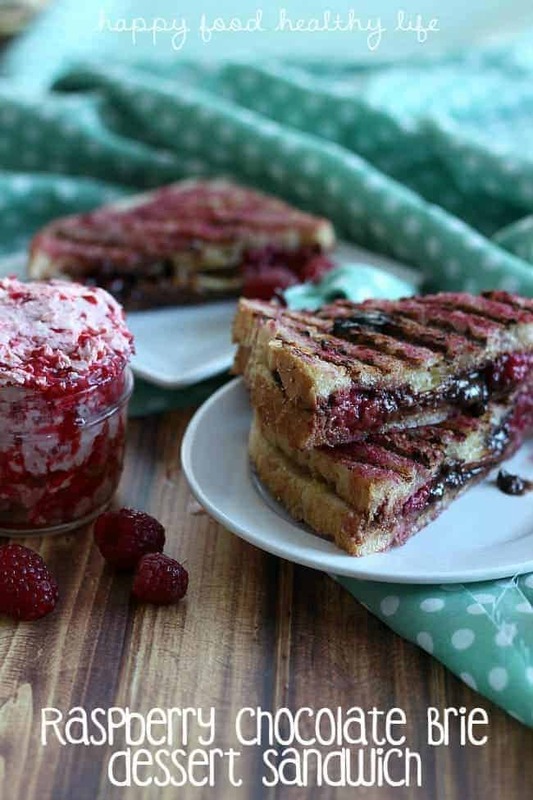 Top with dark chocolate and raspberries and other side of bread. Place on a griddle over medium low heat until bread is browned and crispy, about 3-5 minutes. Flip and brown on the other side. Chocolate and cheese should be melted at this point. Remove from pan and let rest for about 1-2 minutes before cutting and eating. Melt comes in “Rich & Creamy”, Chocolate, or Honey flavors, and I can’t wait to try them all out. Use the store locator to make sure your store carries MELT Organic spread before heading out.